Big decisions are being made around here. Tomorrow painters are coming to get started on our house's much-needed facelift. On one hand, we are absolutely thrilled (goodbye ugly duckling exterior). But on the other hand, we are very nervous as it is such a challenge to pick a color and picture how the house is going to look. 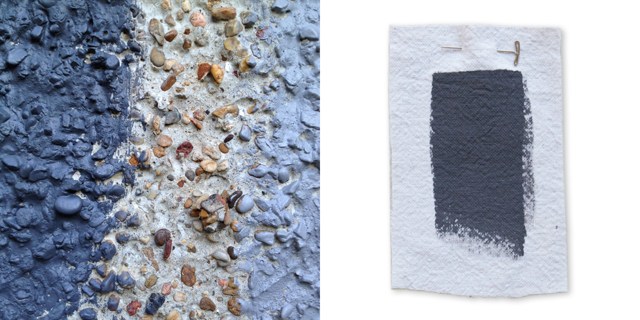 So far, we've settled on a dark gray, and are going with "Peppercorn" by Sherwin-Williams. As you can see above, we waffled a bit between a dark and light gray. Our hope is that the darker color will provide a nice contrast to bright white trim. And I will admit, the fact that Gardenista included "Peppercorn" in their Shades of Gray: Architects' Top 10 Paint Picks and listed it as a "true gray" definitely supported our choice. Let's hope it turns out okay. Swatch image above courtesy of Gardenista. Thanks Kelly! I want to see your finished kitchen floors. I've been bugging Tim to do ours!